U.S. tariffs on $34 billion in Chinese imports took effect as a deadline passed on Friday, and with Beijing having vowed to respond immediately in kind, the world's two biggest economies took a high-stakes turn towards all-out trade conflict. 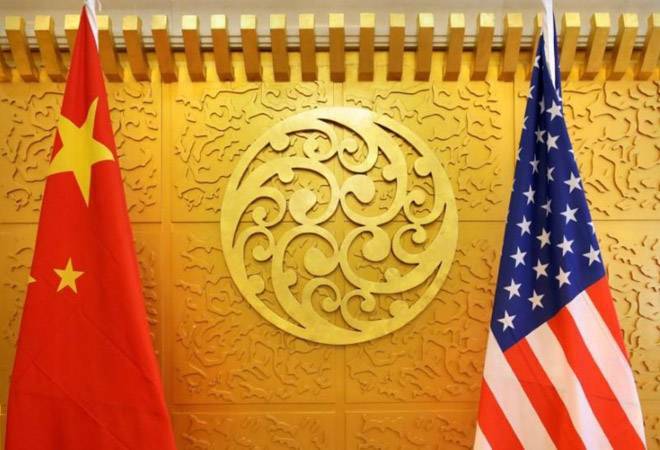 China's commerce ministry said in a statement shortly after the deadline passed that it was forced to retaliate, meaning $34 billion worth of imported U.S. goods including autos and agricultural products also faced 25 percent tariffs. "China promised to not fire the first shot, but to defend national core interests and the interests of the people it has no choice but to strike back as necessary," the Commerce Ministry said in a statement. The ministry called the U.S. actions "a violation of world trade rules" and said that it had "initiated the largest-scale trade war in economic history." "We can probably say that the trade war has officially started," said Chen Feixiang, professor of applied economics at Shanghai Jiaotong University's Antai Colege of Economics and Management. "If this ends at $34 billion, it will have a marginal effect on both economies, but if it escalates to $500 billion like Trump said then it's going to have a big impact for both countries," Chen said. "In effect, the Trump administration is behaving like a gang of hoodlums with its shakedown of other countries, particularly China," the state-run China Daily newspaper said in an English language editorial on Friday. "Its unruliness looks set to have a profoundly damaging impact on the global economic landscape in the coming decades, unless countries stand together to oppose it." "For companies with supply exposure to tariffs, they will move sourcing country of origin if they can; if they can't, they'll pass on as much of the tariff cost as they can, or see a cut in margins," said Jacob Parker, vice president of China operations at the U.S.-China Business Council in Beijing. "Companies don't know how big this may get, or how it will end." On Thursday, Ford Motor Co said that for now, it will not hike prices of imported Ford and higher-margin luxury Lincoln models in China. A China central bank adviser said the planned U.S. import tariffs on $50 billion worth of Chinese goods - $34 billion plus a planned follow-on list worth $16 billion - will cut China's economic growth by 0.2 percentage points, although the overall impact would be limited, the official Xinhua news agency reported Friday. The dispute has roiled financial markets including stocks, currencies and the global trade of commodities from soybeans to coal in recent weeks. U.S. stocks edged higher on Thursday, however, amid hopes that American trade tensions with Europe may ease after comments from German Chancellor Angela Merkel. "This is not economic Armageddon. We will not have to hunt our food with pointy sticks. But it is applying the brakes to a global economy that has less durable momentum than appears to be the case," Rob Carnell, chief economist at ING, said in a note to clients. Chinese Commerce Ministry spokesman Gao Feng said on Thursday that the proposed U.S. tariffs would hit many American and foreign companies operating in China and disrupt their supplies of components and assembly work. China's tariffs on hundreds of U.S. goods include top exports such as soybeans, sorghum and cotton, threatening U.S. farmers in states that backed Trump in the 2016 U.S. election, such as Texas and Iowa.